The best way to refuel post-workout? 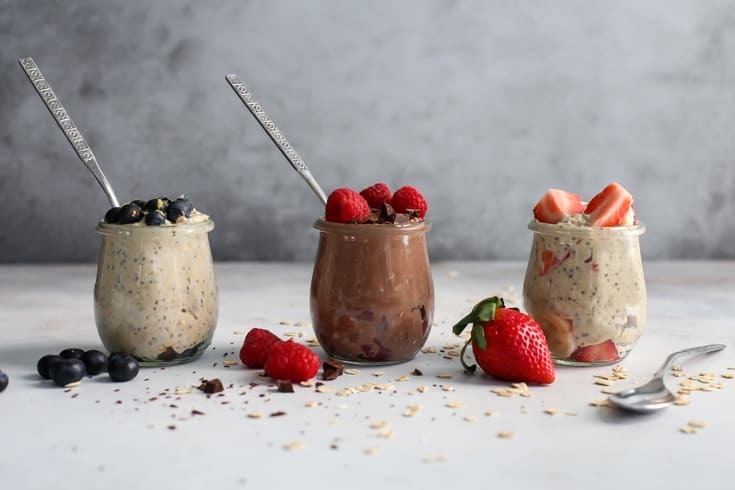 Overnight oats with berries. The combination of protein, complex carbs and antioxidants from berries can help rebuild muscle and reduce muscle soreness. 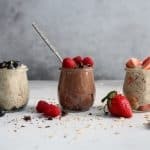 Get three different recipes for easy overnight oats here, plus gluten-free friendly and vegan friendly as well! This post is sponsored in partnership with California Giant Berry Farms. As always, all opinions expressed are my own. Thank you for supporting Fit Mitten Kitchen. We have almost made it through the first month of 2018 – did you set intentions, goals, resolutions? 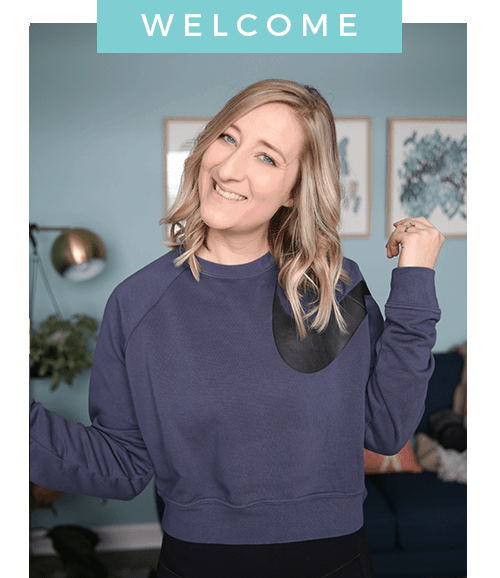 I am not one for resolutions per say but I do find it helpful to look back on 2017 and think about how I may want the next year to be different… and maybe a little bit better. I’m still the same-ish person with similar goals and intentions for this new year but there is always room for improvement, you know? One thing I’ve been improving upon is getting more meal prep recipes in the rotation. Even though I have the luxury of working from home and make my own schedule, having meals prepped makes my days so much easier. 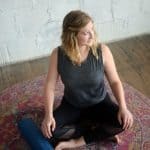 I’m sure whether you work from home or commute to an office, already knowing what’s for breakfast AND having it ready to go can make the morning run much smoother. Maybe part of your morning routine is even getting a workout in BEFORE you head to work. Where my 6am exercisers at?! side note: I don’t always get in the 6am workout myself but I do teach them and I am always inspired by those dedicated individuals 😉 I personally love how morning workouts can set the tone for the rest of your day. And coming home or heading to work with a protein-packed breakfast handy is just another continuation of that healthy routine. And one of the most nutritious workout breakfasts are overnight oats with the addition of berries. I am beyond thrilled to be partnering with California Giant Berry Farms again this year as one of their ambassadors. 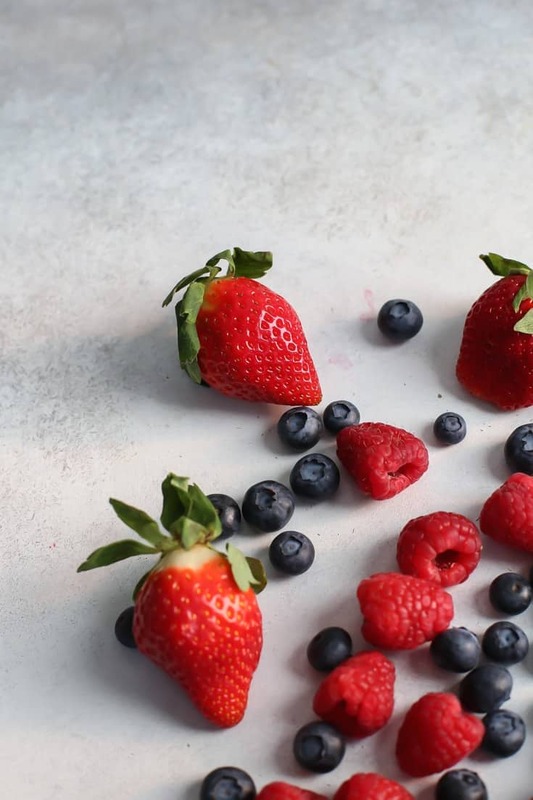 I get to share some new berry delicious recipes with you (heehee), and shed some light on how powerful berries truly are. They’re also the perfect addition to your healthy and fit lifestyle. And California Giant berries are grown in the best fields producing the biggest berries thanks to perfect growing conditions – no GMOs or funny business happening here. The berries are big and beautiful thanks to Mother Nature. Truly amazing. P.S. You can read more about the farmers at California Giant here. I’ve found it’s great putting faces behind the farms where our produce comes from! Oats have an amazing nutritional profile – complex carbs, rich in iron, B1 vitamin, high in fiber. Carbs are needed to help refuel your muscles post-workout, helping to maintain muscle mass. The more muscle you have, the more calories you can burn. The fiber can help keep you satisfied post-workout when you’re feeling extra hangry after you get home (me always after a morning workout!). So why not combine the two for a delicious breakfast that helps restore muscles and provides nutrients to help minimize muscle soreness? 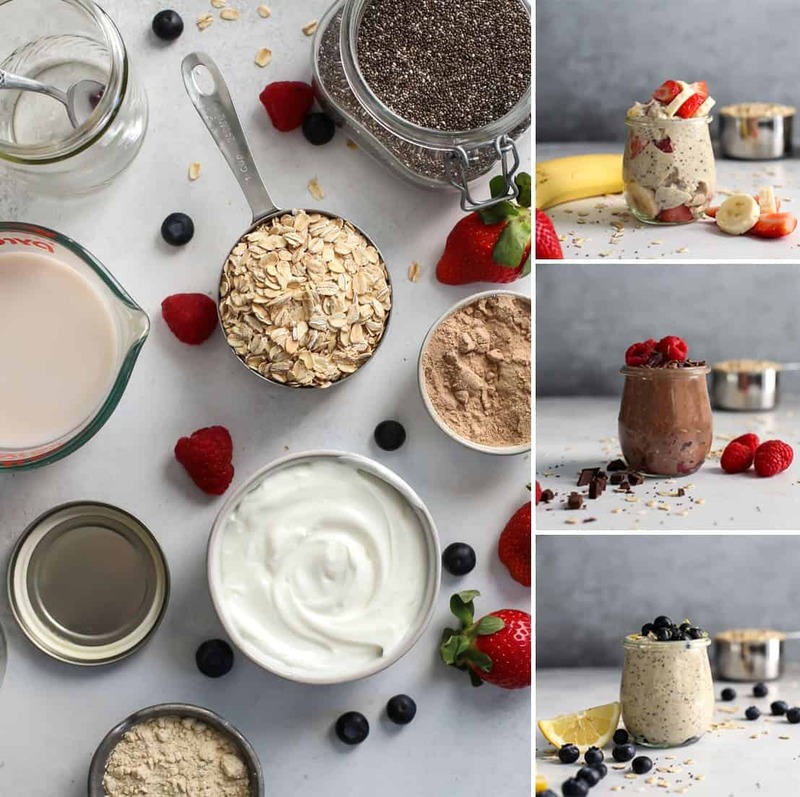 The base of the recipe is the same, and you can change up the berries and add a few other ingredients to help create three different sensational overnight oats recipes you’ll want on rotation each week. Recipe is written for 4 servings, with adjustments depending on flavor. Feel free to double the recipe for an extra large batch if you’re sharing with others in the household or cutting in half for just two servings. 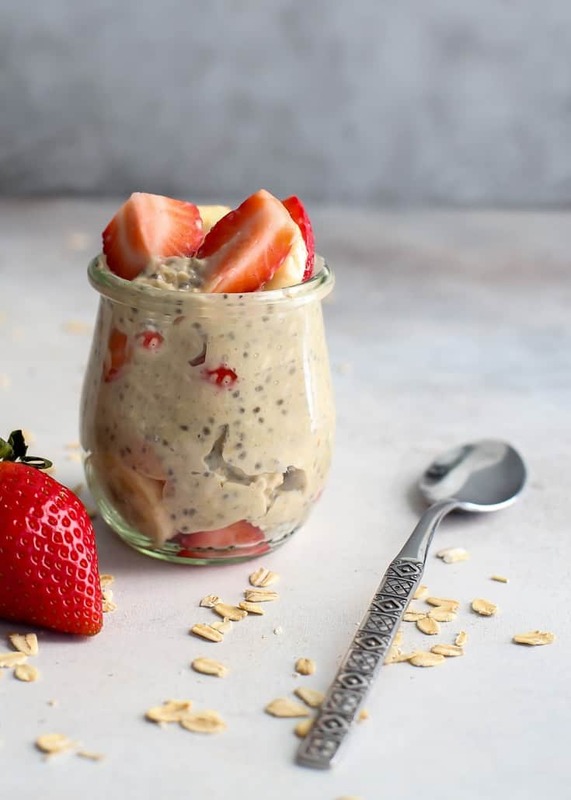 Overnight oats should last covered in the fridge up to four days. 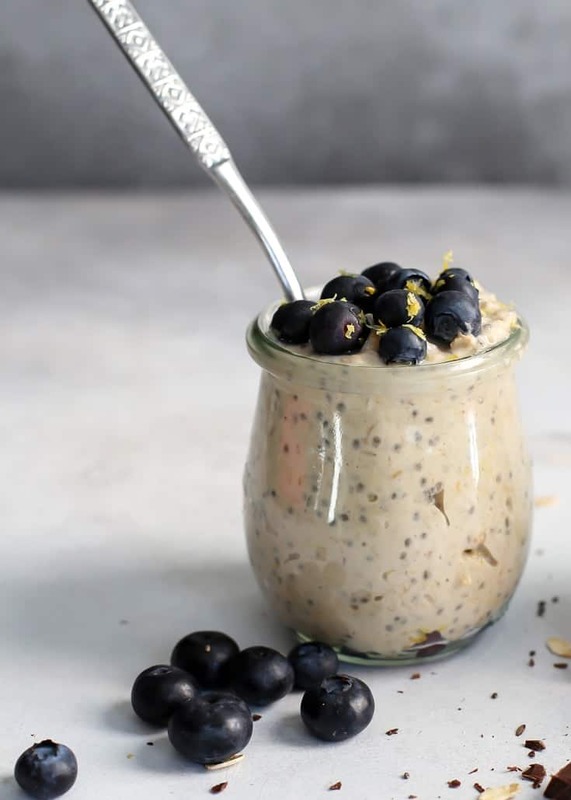 Make the overnight oats base: In large jar combine all the ingredients for the “Overnight Oats Base”. You can use Greek yogurt for added protein, or plant-based yogurt and plant-protein if dairy-free or vegan. Depending on if you want more than one flavor for a batch, you can divide the mixture evenly between 2 or 4 jars if you’d like or make one batch of one single flavor. For Strawberry Banana version – add chopped strawberries and sliced banana. Stir and close lid; refrigerate for 2 hours or overnight. 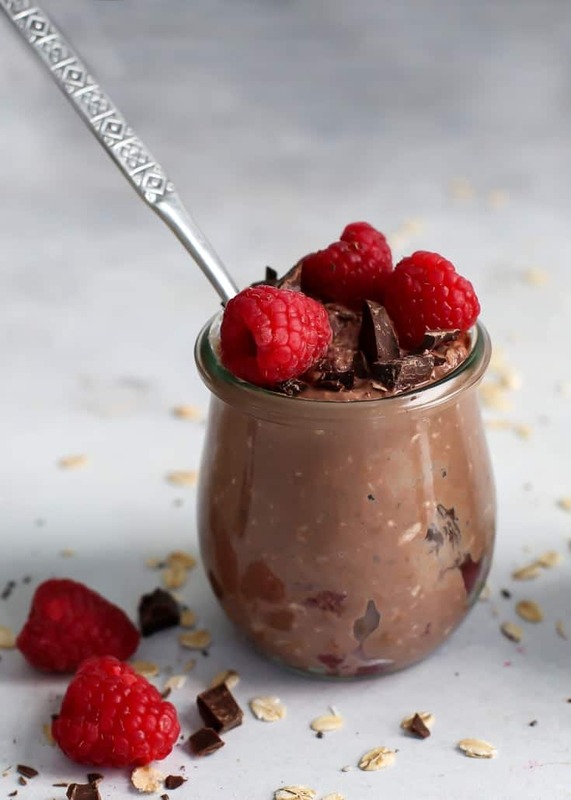 For Chocolate Raspberry version – add raspberries, cocoa powder and chocolate chips (if desired). Stir and close lid; refrigerate for 2 hours or overnight. For Lemon Blueberry version – add blueberries, lemon juice, lemon zest and lemon extract/oil. Stir and close lid; refrigerate for 2 hours or overnight. Mixture should take about 2 hours to thicken. If the mixture is too thick for your liking, simply add a couple more tablespoons of milk, stir, and place back in fridge. Overnight oats should be consumed within 3-4 days time. Enjoy! 1 If using plant-based protein you may need a couple more splashes of liquid. If mixture is still thick after chilling, just stir in another tablespoon or so of milk. You’ll need 2 16oz jars for the overnight oats base recipe, or smaller jars if dividing up the recipe and making the different flavors. disclaimer: I am not a sports nutritionist or registered dietitian, nor am I prescribing you post workout meals. Everyones needs and goals are different. Please contact your healthcare professional or certified nutrition coach for a personalized meal plan based on your needs and training goals.